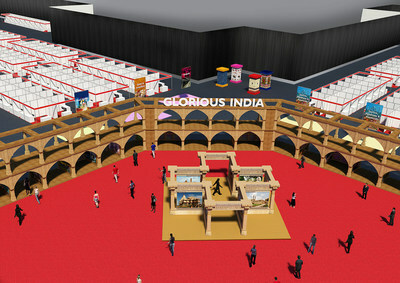 As Glorious India Expo, the mega Indian trade exhibition scheduled on 27-28 May, 2017 in New Jersey, is all set to bring the glory of India to the land holding the largest Indian diaspora - the USA, Praveg Communications Limited - the organizer has added one more attractive feature to the event with the announcement of 'Glorious India Awards'. The award function will be organized on 27th May, 2017 - the first day of the Glorious India Expo - to recognize the exemplary contributions of NRIs in varied fields with vast influence on the society. Glorious India Awards will announce around 50 award winners from different categories along with the action-packed entertaining programmes. With invitation to the leading dignitaries, political leaders and bureaucrats from India as well as eminent personalities from the United States, the ceremony will be organized amidst a gathering of tens of thousands of visitors at the event. 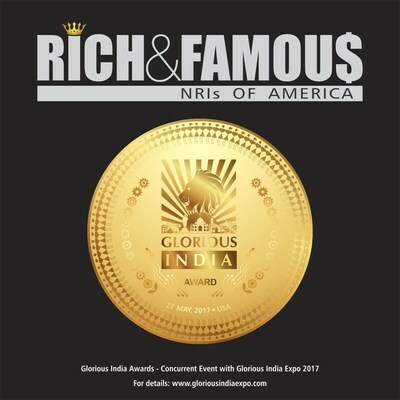 A special dossier titled 'Rich & Famous NRIs of America' will also be unveiled during the award function. The dossier will be circulated among all global luminaries including the State Heads, Members of Parliament (India) and C-level executives of Fortune 500 companies. "Indians are known for their noteworthy contributions to the world in every field. With the announcement of Glorious India Awards, we look forward to honour those US-based NRIs who have earned reverence with their exceptional achievements and made India proud," says Diptej Patel, Director at Praveg Communications Limited. Glorious India Mega Trade Expo will be showcasing over 10,000 Indian products covering garments, jewellery, handicrafts, real estate and tourism, along with B2B sessions between Indian exhibitors and American trade. Over 25,000 visitors are estimated in this 2-day trade event. Among many special features of Glorious India Expo is the Superwomen Pavilion with participation of 100 women entrepreneurs.